Owning a dog has so many benefits outside of being able to cuddle with them endlessly and take countless pictures! 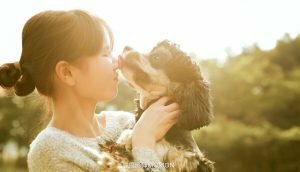 Studies have been conducted over and over and the results have proven that the benefits to owning a dog positively affects and enhances your life. We have compiled a list of 5 reasons why owning a dog increases your quality of life. Taking your dog for a long walk will have great and evident benefits on your physical health. Let’s face it. It’s difficult enough to exercise on your own, but having a dog forces you to be active, because most dogs truly require some sort of exercise. Why not do it together? Dogs are a perfect icebreaker topic. Hey, they’re even opening lines on dating profiles! Our point is that some of the benefits to owning a dog include improving your socialization. As we mentioned earlier, when taking them for walks you’re sure to encounter fellow dog owners and strike up conversations. It’s inevitable that you’re going to grow older and eventually retire from work. With such a shift in your normal day-to-day activities and requirements, it may be hard to find purpose. Owning a dog can help drastically, by increasing your quality of life. They give you a reason to persevere and a sense of responsibility. They prevent loneliness and decreases feelings of isolation. You’ve seen emotional support dogs, right? Well, there’s some true legitimacy to them. Dogs have been therapeutic for years to humans and that’s because they help to reduce stress. They serve as a source of comfort. They are calming. People who work from home or have stressful jobs have been known to be more productive and calmer simply from owning a dog. 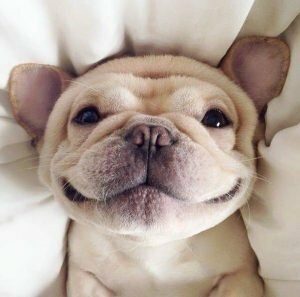 When you own a dog, you lower your anxiety and blood pressure, and increase levels of serotonin and dopamine, two neuro-chemicals that play major roles in producing harmony and tranquility. Dogs don’t just fill your hearts with love and joy, but they also make them stronger and healthier! Several studies have been conducted that show owning a dog decreases the risk of cardiovascular disease and lowers heart rate and blood pressure. Studies have shown that a person’s blood pressure decreases when they just pet a dog. It’s because we know that question is asked with regards to the teddy bear dog breed! At first glance, you may think it’s a teddy bear, but it’s a puppy! That puppy synonymously associated with a teddy bear is actually called the Zuchon. 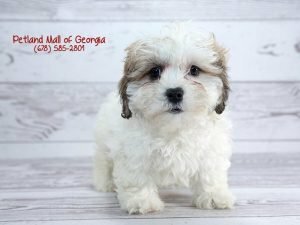 It’s beautiful blend of the Shih Tzu and Bichon Frise. They go by a myriad of names and it doesn’t matter which you choose, because ultimately, they’re going to make you oo and ah and take them home! The teddy bear dog breed is a new one, which originated in the United States. They have steadily gained popularity in the hearts and homes of many dog owners. They are said to have been first discovered and introduced in 2000. Zuchons, the teddy bear dog breed pups, typically weigh between 5 and 15 pounds and they stand from 6 to 12 inches tall. They should be fed dry kibble of high quality, especially designed for small and active dogs. They are generally healthy dogs, with a life expectancy of 15 and 18 years old! You won’t have much of a problem training the teddy bear dog breed, because they are intelligent and eager to please. They are rather treat motivated, so use them to your advantage when training your pup. You’ll get the desired results! As we previously mentioned, they are rather intelligent. The fluffy furball is friendly and will suit well in just about any home. His social and well-mannered behavior is welcoming. He’s not much of a barker, but he will alert you when the doorbell rings or there’s a knock. They’re extremely playful, but not so much so that they won’t find solace lying in your lap gazing at you and then drifting off to sleep! He’s definitely a playful pal, so any sort of game will serve as exercise and meet his daily requirement of physical activities. Of course, he’ll still enjoy and benefit from his daily walk around the neighborhood or a little socializing at your local dog park. It’s been reported that the teddy bear dog breed is exceedingly intuitive. They will conform to your energy level, so if you want to go for a long walk outdoors or relax on the couch, they’re game either way! The teddy bear dog breed is hypoallergenic, with hair that’s either curly or silky and long and flowing. Their colors range from variations and combinations of silver or gray, tan or cream, or black and white. You’ll also find that they can be all black, chocolate brown, red, and apricot. They require a good brushing every few days, but you’ll have to cut it periodically to maintain its lux and shine! Where Can You Buy Puppies? So, you’re in the market to bring an adorable puppy home to your family. Perfect! Our puppies do not come from unethical puppy mills. We excel at animal husbandry. Here at Petland, we are focused on raising the bar when it comes to animal husbandry and responsible breeding practices. Petland is a global leader in pushing the industry to new levels and encouraging the highest standards of pet care in our communities. We only receive our pets from responsible, compassionate pet providers and strive to find them a loving home on a daily basis! 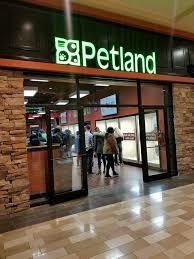 Where do you buy dogs with owners that have built a reputation since 1967 – right here at Petland! We are committed to helping thousands of families adopt new pets into their homes. We are also committed to making your new relationship with your pet the best that it can be. Our staff receives intensive and ongoing training and are here to help you along the way. Pet care is our passion! The excitement of having a new dog joyfully welcomed to your home can be quite the experience, for you and your dog and your family. The new environment and learning curves can be full of unexpected surprises…including potty accidents! Because the first few days are critical, it’s essential you begin housebreaking your pup immediately. We have a helpful guide for you to learn how to potty train a dog in 7 days. Establish a regular feeding schedule. You want to make sure that you’re consistent with the schedule you create and that you don’t deviate from it. Puppies need to have three to four small meals a day and a constant supply of fresh water available to them. Dogs work best with routines. This is how to potty train a dog in 7 days best. Create a consistent schedule for when you’ll take your pup outside to relieve herself. You’ll see that consistency is key the first 7 days and beyond. As a general rule, you should always take her out the first thing in the morning and right before you go to bed at night. Young puppies need to be taken out every hour or so during the day. This should include about 30 minutes after each meal. Puppies sleep a lot, so when she awakens, take her out immediately. Skip the treats for now and reward your dog with praise when she relieves herself. She needs to know that she’s doing a good job and that this is actually an enjoyable experience. 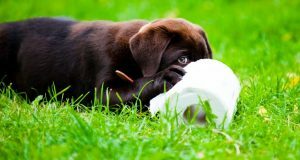 Learning how to potty train a dog in 7 days is doable with, you guessed it – consistency! Today is the day to reiterate exactly where your pup should be doing her daily eliminations. Take her to the same spot each time. She will eventually learn that this is her elimination location and will instinctively go there when you’re on a walk or outside. On this day, you’ll be doing a lot more work. You’ll be required to closely monitor her for signs that she has to go outside. Pay attention to behavioral changes. She may rise from a nap and walk into another room. She may even walk towards the door which you normally exit. Other signs to look for are whining, barking, sniffing, or circling. If you see something, do something! At this point, your pup’s accidents should be fewer, with your help, of course. Accidents are natural and will occur. Learning how to potty train a dog in 7 days involves correcting her accidents properly. This doesn’t include any forms of punishment. If you catch her having an accident, clap loudly and immediately take her outside with a gentle tug on her collar or harness. Once you’re outside and she’s finished what she started at her elimination location, praise her! Use an enzymatic cleaner to minimize odors, versus any cleaning agents containing ammonia. Its strong scent is attractive to her and may encourage her to go there again. You’re almost there! She should be making fewer and fewer accidents and making strides in her progress. You’ve been keeping her feeding and walking schedules consistent and rewarding her when needed. At this point, you’re able to detect when she needs to go out and she should be having fewer accidents. Congratulations! You both have learned how to potty train a dog in 7 days! Whether you’re thinking of getting a new puppy or you already have a dog in your home, your nearest Petland store is your one stop shop. Deterrents or Repellants – Helps keep puppies away from specific items and areas (chewing, biting, and establishing boundaries). Shampoo – Tearless puppy shampoos are gentle enough for frequent use. Never use human shampoos. Coat Conditioner/Crème Rinse – Especially important for long haired breeds, these products reduce matting and tangles. Waste Scooper – Cleaning up while on a walk and around the yard makes having a dog more enjoyable. A waste scooper makes clean-up easier. Travel Bag/Carrier – As your puppy travels with you, why not do it in style? Premium Grade Puppy Food – Ensures proper nutrition. We feed and recommend Health Extension brand dog food and supplements! Appetite Stimulant – High calorie dietary supplement. Extremely important during environmental changes. Encourages good eating habits and combats hypoglycemia. We use and recommend Health Extensions Nutri-drops. Do you have any additional questions about the foods carried at your nearest Petland store? We are here for you! Just give us a call today. The first couple of days with a new dog at home are critical ones. Your new dog will be anxious and confused. It’s imperative that you do everything in your power to make the transition a smooth one for both you and your new dog. We have some tips and helpful guidelines for you to follow. Figure out where your new dog will be spending most of his time. Because of the change of environment, housebreaking will be essential or need to be reinforced. Kitchens work best in the beginning. If you plan on crate training your dog, be sure to have a crate set up and ready to go for his arrival. Puppies are curious, especially in brand new areas. They’re much like little kids in the beginning so you want to dog proof your home, in particular the areas where he’ll likely spend most of his time. This means taping or putting up electrical cords, moving any foods, plants, or household chemicals up to higher unreachable places, and if feasible, installing baby gates. Having a new dog at home means you need to start training him right away. Establish the vocabulary you want to use for simple commands and stick to them. Dogs are accustomed to routine and they thrive best with them. When you pick up your new dog, ask questions. Find out what kind of food he was fed and when. Give him the same food for the next few days, slowly introducing a new one, should you decide. You want to really ease into this to avoid any digestive issues. If he has any favorite toys or blankets, obtain and bring those as well. These will be small reminders of his former home and make him feel more comfortable at his new house. On the ride home, make sure your dog is safely secured preferably in a crate. Some dogs find car trips stressful, so having him in a safe place will make the trip home easier on him and you. He’s home, except he doesn’t quite know it! He’s been through a lot and doesn’t know what to expect. Give your new dog some time to get acclimated to his new surroundings. If you have children in the home, allow them to approach your dog calmly, even though we know they’re probably bubbling over with excitement. That excitement can frighten him, so be methodical with introductions. Once home, take him to out to relieve himself immediately. Allow him to peruse the area and get familiar with the surrounding scents. There’s a chance that he won’t relieve himself, so prepare yourself and home for the accidents, because they’re bound to happen. New home, new people, new sounds, new living quarters – all of these are things that could make him excited and have an accident. If you plan to crate train your dog, make it nice and comfy for him. Leave the crate open so that he can go in and out whenever he wants. Dogs like having a space to themselves and crates are nice and snug enough for them to feel some sense of comfort. This would be a great place to put his favorite blanket or toy. On the very first day, give your new dog some moments of solitary confinement. This is not a form a punishment. Time alone and perhaps in his crate is what he’ll need to establish some independence. Be strong! He’s going to whine and whimper, but don’t give in and comfort him. When he has quieted down, reward him with praise or a toy for his good behavior. You’ll begin to notice your dog’s true personality. You’re starting to get a feel for the other. Habits will start form. Maintain your feeding and walking schedules, because dogs love routine. Stay in contact with his vet. Continue to praise him and educate yourself. We, at Petland, are here for you, too! What can’t we say about those fluffy, waddling Corgis? 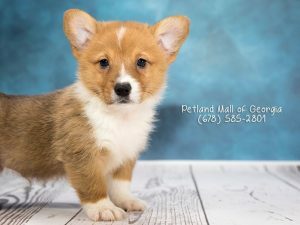 They are just so stinking cute and they have so many more attractive qualities that make Corgi pups for sale a popular, high selling breed. Read these fun facts about these royal canines. Two is more fun than one! Did you know there are two different types of Corgi pups for sale on the market? Yep! There’s the Pembroke Welsh Corgi and the Cardigan Welsh Corgi. They are considered two entirely different breeds because they come from different ancestors. The best way to tell them apart is with their tails. The Pembroke doesn’t have one and the Cardigan does. Kind of hard to believe that these little ones were once herders, but there were and they were darn good at it. Back in the 10th century, pastures were considered common land, so there were no fences. In order to keep cattle together, the Welsh Corgis would nip at their legs to herd them. See? They were real ankle biters! Pembroke Welsh Corgis were bred from spitz dogs. Back in 1107, Flemish weavers migrated to Wales and bred he Spitz type dog with the original Cardigan Corgis. The result was the Pembroke Welsh Corgi pups for sale that we know and love so much today. We think this is one of the most commonly known facts, because Corgis have been pictured so often with Queens of England. Queen Elizabeth II has had over 30 Corgis in her lifetime. She has two named Holly and Willow. She also had two Dorgis, which are Corgis and Dachshund mixes, named Candy and Vulcan. The Queen got her first Corgi when King George VI brought a male pup home from a kennel, in 1933. She’s been in love ever since. There’s no wonder there are tons of Corgi pups for sale across the world! They were initially lumped together as one breed. There were two types of Corgis registered as one in 1925, which cause a bit of an uproar in the breeding community. After about a decade filled with lots of strife, they were finally recognized as two separate breeds in 1934. Corgi means “dwarf dog” in Welsh. According to the Oxford English Dictionary, ‘cor’ means dwarf and ‘gi’ means dog. Teacup Yorkies are tiny little wonders. Much controversy has surrounded this pint sized babies, but we’re here to dispel some of those awful rumors. Contrary to what has been widely been misreported Teacup Yorkies, though incredibly small, can live healthy lives with the proper care and attention. We’ve gathered some basic and informative facts about them just below that will be helpful while you’re shopping for Teacup Yorkies, that we happen to proudly have in our store. What is the average size of Yorkshire Terrier? The AKC standard for the Yorkshire Terrier used to state that the adult dog should weigh between 4 and 7 pounds, but now there isn’t a minimum size. The official weight standard simply states that they are not to exceed 7 pounds. What about the average size of Teacup Yorkies? These little babies will generally be between 1 and 3 pounds, when they are fully grown adult dogs. Are Teacup Yorkies officially recognized? The Yorkshire Terrier is absolutely accepted and recognized. 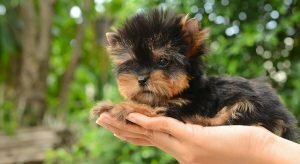 What are the health concerns regarding Teacup Yorkies? They should wear a harness instead of a collar when they are being walked. This will avoid a collapsed trachea. Because of their little stature, their bone structure is compromised and will be more fragile. Ligaments and tendons will be tiny and prone to injury, like sprained or broken bones. For this reason, they are best living in homes without small children who may not be as gentle with these precious pups as they should. Teacup Yorkies have higher occurrences of hip dysplasia. They are also very susceptible to hypoglycemia, when they are up to 18 weeks old. A rapid drop in blood sugar levels can be fatal. How should you care for your Teacup Yorkies? Now’s the time to break out and keep cute clothes on your pup! She will be more sensitive to temperature changes. Thick vests or hoodies are perfect for their comfort. When it’s hot out, walk them in the shade as opposed to direct sunlight, to prevent skin sores. We sell bedding for all sizes and have tons of little beds for them. It should be a top quality orthopedic foam memory mattress and not a nestling bed. You can add an extra blanket for warmth and cushioning. Stay in contact with your vet. Make and keep regular checkups for your Teacup Yorkies. With responsible ownership, consistent vet visits, and a healthy diet, Teacup Yorkies can live healthy lives. Contact us for any questions you may have! We know firsthand that our Walrus puppies for sale are intelligent, loyal and affectionate family companions. I’m sure you’ve seen pictures of those cute pups with wrinkly faces and wondered what kind of breed they are. Well we’re here to shed some light on the Walrus puppies for sale that we have. They’re fascinating in many ways and here’s why! for sale that you can own! Our Walrus puppies for sale start out small enough to carry and hold on your laps, but that doesn’t last for long! They are actually medium to large dogs. They can weigh anywhere between 30 to 60 pounds and can be 10 to 13 inches in height. They have floppy ears and long low bodies like the Basset Hound. His head is larger than his body. They are typically brown, with almond-shaped eyes and a long tail curved at the end. With regards to his wondrous wrinkles, the quantity depends on the dominant gene. They normally come in chocolate, black, white, brown, golden, cream, and fawn. They love to be the center of attention. They love to cuddle, though they aren’t lap dogs! They suffer from separation anxiety. If they’re left alone for too long, they’ll start to howl and display destructive behavior. He’s pretty good with kids, but not so much with other dogs and strangers. They are fairly active dogs and need daily exercise. Be sure to keep him leashed at all times, however. Both Basset Hounds and Shar-Peis have a stubborn streak, which makes them difficult to train. You’ll need a healthy dose of patience and time dealing with these boys! Once trained, they will serve as excellent watchdogs or just fit in as a family pet. As with any crossbred dog, there are some common health concerns. 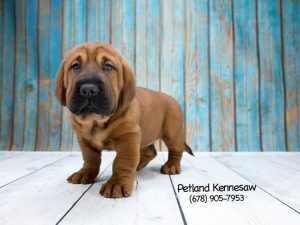 Specifically, for the Walrus puppy, the combination of the Basset Hound and Shar-Pei presents some unique, but totally preventable and treatable problems. For instance, the Basset is susceptible to canine thrombopathia, foreleg lameness, and eyelid issues. With the Chinese Shar-Pei, you want to pay specific and close attention to their eyelids turning inward. This affliction is called ectropion. Both breeds are prone to hip dysplasia. Walrus puppies have a life expectancy of 8 to 10 years. 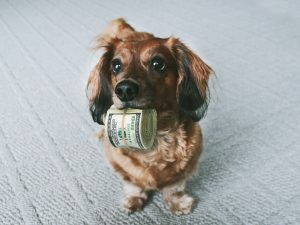 We think it goes without saying that when you own a dog, there are going to associated costs that stretch beyond the initial purchase of pet. In actuality, pets can be quite expensive and that’s why we offer a way to finance a puppy. We recognize that between food, vet visits, clothing, puppy decor and accessories – bills can add up quickly. 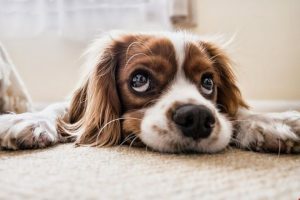 It is estimated that a pet owner can spend $4,000 – $35,000 over the lifespan of a pet, whose life expectancy is 6 – 14 years, according to the American Kennel Club and the American Society for the Prevention of Cruelty to Animals. To finance a puppy is one way to help with the immediate expenses. Below, we give you 5 tips on saving money for future expenses. When you finance a puppy, you’ll want to be sure that you purchase the best food and treats for your pup. In order to live long and healthy lives, your dog needs to have a healthy diet. Feed your pup food that is best for his breed. Typically, food with meat as the first and main ingredient is best. Conduct your research and consult with your vet. The dog community is a tight and supportive one. Dog owners know each other. If you happen to know someone who previously had a dog or has an older one, ask for some of their gently used products. For instance, crates stick around forever, either because they outgrow them physically and practically. Some dogs just stop using theirs for comfort, because other places around the house suffice. There are TONS of deals online that can save you money. We feature products on sale as well. When you finance a puppy, you can apply some of the funds towards discounts, thus lowering your expenses. Just like you would save for vacation or retirement or college for your kids, you should save for your pet expenses. Having a cash stash fund is crucial. Should emergencies arise, having these savings will prevent you from making difficult decisions when it comes to your pup’s health and well-being. It’s important to stay connected with your vet. Preventive care is very important for both humans and pets. This means that you should be sure to schedule and keep regular vet visits so you can stay abreast of any ongoing or potential problems.